Decoration or renovation of your residence gives classy look and feel more relaxed. There is one question whether you should do it or hire professional interior designer. Hiring a professional interior designer is good option for handling such a difficult task. Interior designer very well known how to utilize each & every corner of the house. In small space they cover all the things mainly storage is very important. 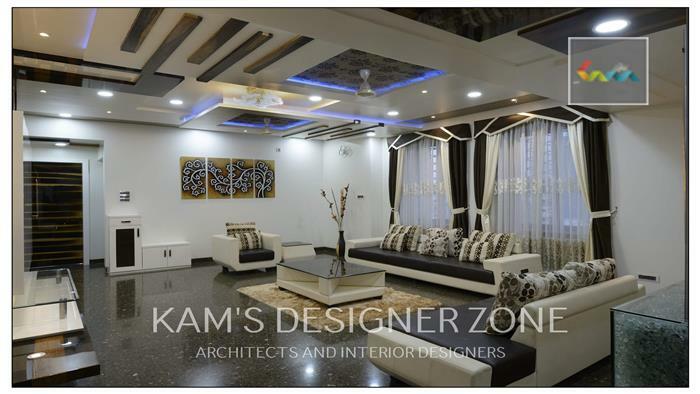 But hiring a good interior designer is also big task but don't worry we are at kams designer zone is best interior designer in pune having good knowledge & taste of interior designing. If you see our latest residential and commercial project then you get an idea about our work: http://www.kamsdesigner.com/interior-designer-in-pune.html. For doing decoration it requires too much time & you have to match all the things like color combination, furniture, Lights. & all things. But we have all knowledge of interior designing so we can easily work on this with latest technologies & give unique look to your home in affordable rates. Everyone wants dream home & try to complete their dream home.